Skates Not Fitting Quite Right? Improperly fitting roller skates can be extremely frustrating, and if you are a beginner it can bend that learning curve even more than it already was. But a skate that doesn’t fit quite right, doesn’t always mean that you selected the wrong size for your foot. While this is a very definite possibility, you may also just need to simply adjust the laces. Like skates, feet come in all different shapes and sizes, and sometimes minor tweaks need to be made. Skate Moore in Moore, Oklahoma wan’t to see everyone in our rink having nothing less than a great time! So, follow these lacing tips if you are someone who is struggling with this. Is your heel slipping? 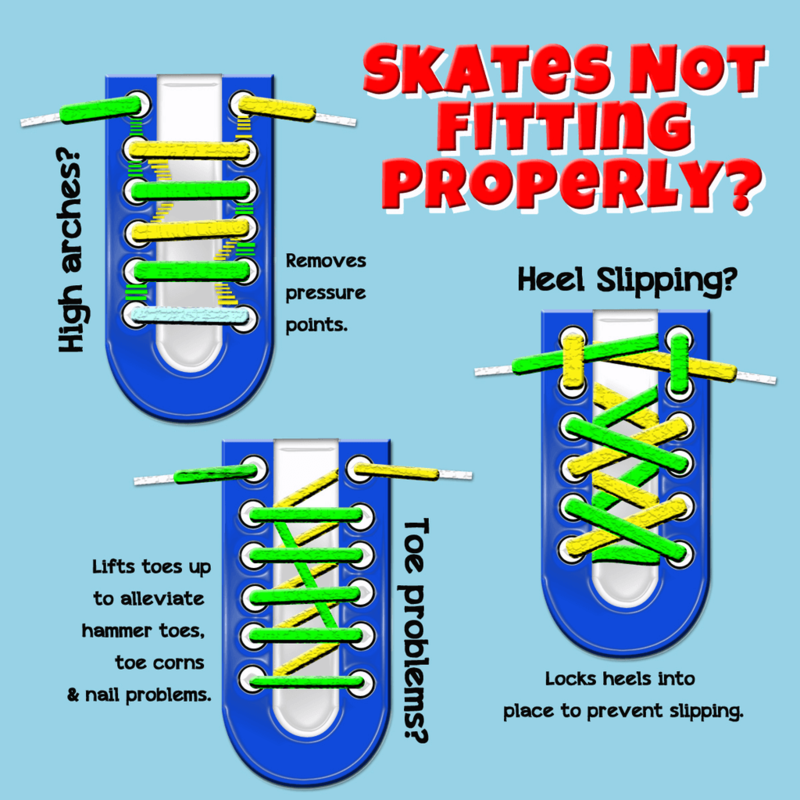 If this is you, and you have been fitted for skates by someone who is knowledgable, try a lacing technique that will help alleviate this issue.